Sandy Hill residents large and small, who play outdoor ice hockey, take skating lessons at the community centre, or just enjoy skating around on our winter rink, appreciate the importance of a community rink manager. While the rest of us are at home in our warm beds, the rink manager is out there in the cold and dark, flooding (with a little garden hose), scraping, and shovelling ice to make sure that Sandy Hill can enjoy that essential element of winter in Canada … the outdoor community rink. Kevin Booth moved to Sandy Hill in 1999 just as he was finishing a degree at Carleton University in Mechanical Engineering. He loved the community, and in 2001 he bought a house on Nelson Street, across from Sandy Hill Park. During his first two winters on Nelson St., he noticed that our outdoor rink was not in great shape, so he pitched in to help with shovelling. He asked his neighbours if they knew how he could help to improve the rink. They put him in touch with Action Sandy Hill members Diane Whalen and Dean Pallen, who were struggling to find a reliable rink manager every winter. Kevin took over the rink contract for the 2003-2004 season, and has managed the rink every winter since then. Over the last four years, Kevin has employed more than 20 university students in Sandy Hill to supervise the shack and help with ice maintenance. After a big snowfall and before the Winter Carnival, the women’s and men’s community hockey teams, parents, kids, and neighbours have pitched in to get the rink ready for skaters. 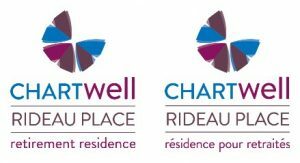 Chartwell Rideau Place Retirement Residence is a Corporate Member of Action Sandy Hill.